How Have We Helped You? 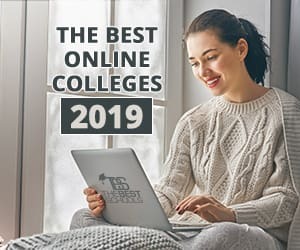 The staff at The Quad and TheBestSchools.org is dedicated to helping find the best school for you. Let us know how you've benefited from the information and resources on our site. We'd like to share your testimonial with others. Follow this link to tell your story: How Has TheBestSchools.org Helped You? Let Us Know! If your inquiry doesn't fall into one of these tidy little categories, or you have some really mind-blowing ideas to share with us that simply can't be contained in the space of one message, reach out to our Chief Editor, David A. Tomar. And because he's just that kind of guy, David will personally read your message and, where both possible and appropriate, provide response. David A. Tomar is an author and journalist who has written extensively on music and education. Tomar catapulted to notoriety with his controversial and eye-opening 2010 article in The Chronicle of Higher Education titled “The Shadow Scholar.” Writing under the pseudonym Ed Dante (a name now committed to perpetuity by its own Wikipedia entry), Tomar highlighted his decade-long career as an academic ghostwriter while simultaneously announcing his retirement from the business. Since then, Tomar has focused not just on exposing the broader failures in American education but also on reforming it. Through his full-length 2012 memoir, The Shadow Scholar: How I Made a Living Helping College Kids Cheat (Bloomsbury USA), his consulting work for the International Center for Academic Integrity (ICAI), and his editorial seat at TheBestSchools.org, Tomar is seeking to narrow the gap between the promise of education and its (often dismal) reality. Tomar has written for The New York Times and is a regular contributor to The Huffington Post as well as editor-in-chief of music blog The Liner Note . Your readership and support of The Quad makes us all warm and tingly inside. Thanks. Always feel free to let us know how we can return the feeling.